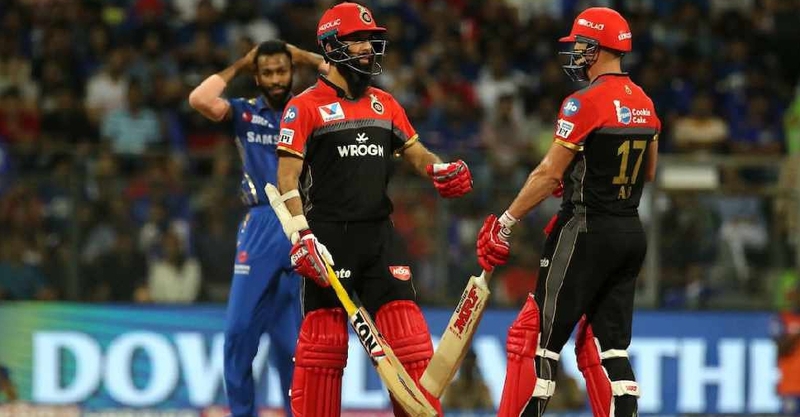 A brilliant knock from AB de Villiers (75) and a great all-round display from Moeen Ali (50 runs, two wickets) were not enough for Bangalore to overcome the Mumbai Indians at the Wankhede stadium. Defending a total of 171 for 7, Virat Kohli's men lost the game by five wickets. Mumbai needed 22 runs from the last two overs but Hardik Pandya took just six balls to hit the required runs. He turned the game on its head, smashing five boundaries and two sixes during his unbeaten 37 off 16 balls. Earlier, Mumbai's veteran Sri Lankan pacer Lasith Malinga took four wickets for 31 runs.